Its summer, naturally you are on vacation with the family, spending hours upon hours at the beach with the kids. That book you were reading was so interesting that you forgot to reapply your sunscreen. Now, you have to deal with that uncomfortable feeling of being sunburnt with skin that is hot to the touch and will later begin to peel. The damage has been done; there is nothing you can do about it besides deal with it… right? Life happens, and whether you forgot to reapply the sunscreen or didn’t put any on in the first place, there are ways to expedite the healing process and repair some of the damage that has been done to the skin and to our DNA. This enlightening piece of news certainly does not mean to forget about sunscreen altogether. 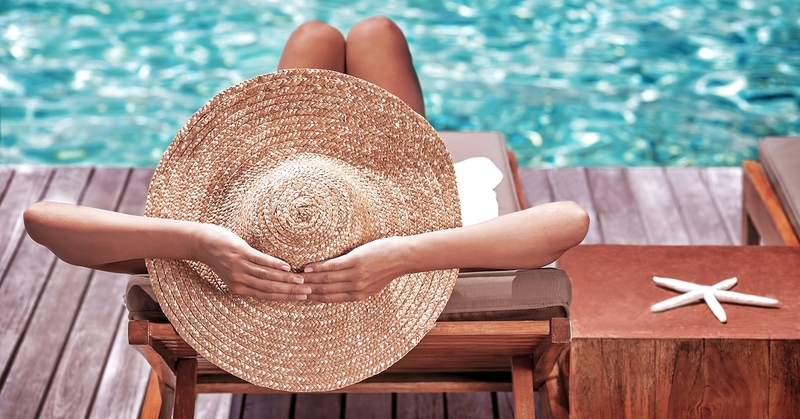 In fact, the more times a person develops a sunburn in their lifetime, the higher their risk becomes for developing certain types of skin cancer.1 Also, excessive sun exposure can lead to premature aging in the form of wrinkles. This photoaging (sun-induced aging) can leave the skin devoid of moisture, prone to acne and pigment changes. So, using sunscreen is an essential way of maintaining skin health when exposed to ultraviolent (UV) rays from the sun. Your go-to is probably topical aloe vera, which is one great option that has been shown to produce a soothing effect and ease inflammation and in those with UV-induced erythema.7 Be sure to choose an aloe vera gel that doesn’t have unnecessary additives such as colorings. Remember, our skin is porous and to some extent will absorb what we put on it. House fires are genuinely unfortunate and can scare encounters - you require experts to help with the recuperation and they will help sit down of your shoulders, and you can return to a typical way of life much sooner than you at any point thought conceivable.